A silenced sound experience from sunset to sunrise. That’s the best way to describe Resonance Night, where 200 singers will create a modest and refined world of sound that lasts for twelve hours. Composer Merlijn Twaalfhoven, known for his adventurous and innovative style, creates a speechless environment where the audience can walk in and out as they like. 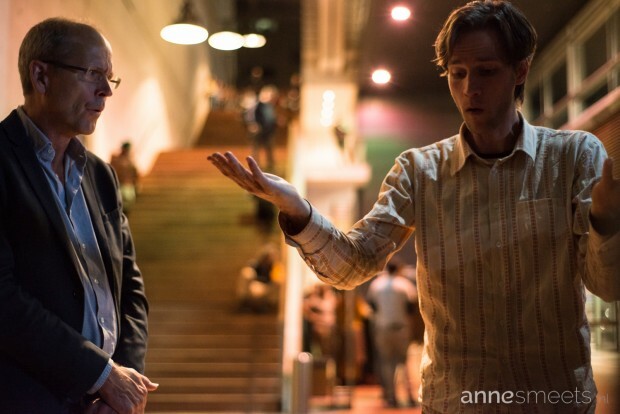 The audience is allowed to join in this musical journey in the Muziekgebouw aan ‘t IJ by interacting with participants. Experience how tight composition, free sound and improvisation come together in harmony. In an ongoing evolution of pure sounds melodies, rhythms and chords gradually arise. The view over the water and the colors in the sky when the sun rises and sets only amplify the experience. With just the human voice Twaalfhoven uses these direct interactions and speechless communication to search for playful and spontaneous order and beauty; a new way to experience music. Light artist Clifton Mahangoe will fill the room with a light show and several yoga sessions will take place. You’re even allowed to bring your sleeping mat and fall asleep to some lovely singing at this experimental and interactive concert.